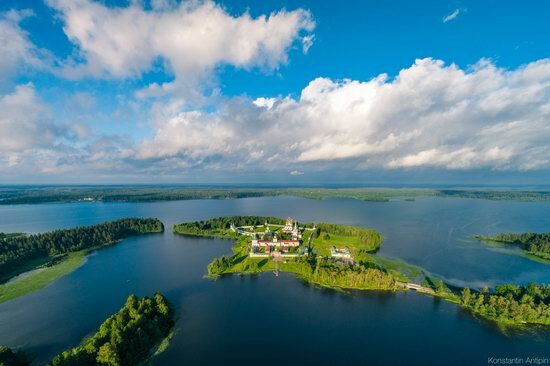 Valdai is a picturesque lake located in the territory of the Valdai National Park in the Novgorod region. The area of the lake is about 20 square kilometers, the average depth is 12 meters (the maximum depth – 60 meters). 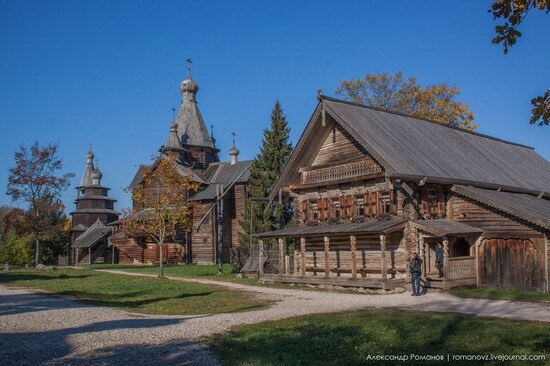 On an island in the center of the lake, there is a historical and architectural monument of the 17th-18th centuries – an ensemble of buildings of the Iversky Monastery. On the western shore of the lake the town of Valdai is located. Lake Valdai on Google Maps. Photos by: Konstantin Antipin. “Vitoslavlitsy” is an open air museum of folk wooden architecture located near St. George Monastery, about 4 km from Veliky Novgorod, on the southern shore of Lake Myachino. The museum, opened on May 16, 1967, has about thirty monuments of the ancient Russian wooden architecture of the 16th century, residential and other buildings of the 18th-19th centuries. 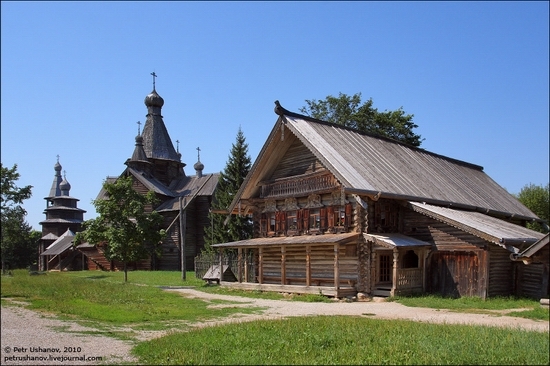 The branch of the Novgorod State Museum-Reserve “Vitoslavlitsy” is located near Yuriev Monastery (about 5 km from Veliky Novgorod), on the shores of Lake Myachino. Various wooden buildings (churches, peasants houses, mills, barns, etc.) 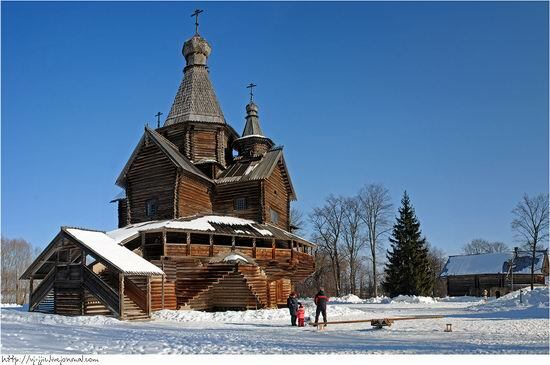 that have architectural and historical value are moved here from all the districts of Novgorod oblast. At the present time around 30 buildings are gathered in the museum.